Creator & CEO of Blendtique. Please join Family Office Insights for Blendtique’s late afternoon event on Wednesday, November 8th at 5:30PM. If you care to join us, please email admin@familyofficeinsights.com. Family Office Insights sits down with Billy Dim, Creator & CEO of Blendtique, to discuss his revolutionary new concept that offers custom wine kits for wine enthusiasts, businesses, and hospitality groups to blend and curate their own one-of-a-kind wine through Blendtique’s experiential kits and programs. Tell us about your background and your company, Blendtique. Upon graduating from the University of Texas at Austin – majoring in English and Business – I worked my way up in consulting to an executive position. I travelled a lot for work and it was a great hands-on experience where I was charged with managing the development of several large retail facility service programs with major mall management groups, on a national level. I developed great relationships and sharpened my sales skills, but found that I was no longer passionate about the work. It was at that time that I moved out to California for fresh perspective and change, specifically, Santa Barbara County where I had family in the wine business. During college, I studied abroad in Florence where I fell in love with wine and developed a true appreciation for it – though at that time, I hadn’t yet had the light bulb moment to pursue it as a career. So that, coupled with being in Santa Barbara, surrounded by vineyards and local wine businesses, I decided to take time learning and understanding the process, at every step, from working in the tasting room, to helping with production. For six months, I took local winemaking classes during the day and worked as a bartender at night. While I didn’t have a classic education in wine, I studied under sommeliers in restaurants to become a jack-of-all-trades in the wine business. I held a variety of roles in this business, such as, the Director of Sales for wineries, the creator of online directories for wineries and restaurants, a winemaker, and ultimately, a sommelier—I received my Master of Court of Sommelier’s Certification in 2010. Going through my journey with wine, I realized there was a unique niche in the market Blendtique could fill. Blendtique Wine Company is a revolutionary new concept, whereby the everyday consumer can create and design a personalized wine blend from the comfort of home. For the first time, enthusiasts can take part in the winemaking process, not simply to taste, but to blend, experiment, and even package a wine created thoughtfully by them, for them. Each year, tens of thousands of wine lovers flock to wine country hoping to explore the process and experience the beauty of the scenery, but no matter how great their experience is, participation is inevitably limited. I figured there had to be a way these wine enthusiasts could pursue their interest, while also learning more about the wine making process, without having to fly out to California. I believed that the fun shouldn’t end after a wine tour, or a shopping trip of a few bottles to ship home. I felt there was a missing element to the crafted wine experience and a product that would translate the personalization and ownership of one’s own creation. I founded Blendtique to serve the wine enthusiasts’ desire for fun, knowledge, and tailored choices, but the journey has revealed multiple market applications that we can (and are) offering our custom wines to restaurants, wedding parties, hotel and hospitality groups, country clubs and corporate events, to name a few. On the hospitality side, Blendtique is a great way for hotels and restaurants to offer their own white-labeled house wines. We currently have an exclusivity agreement with Celebrity Cruises to run on-deck programs with upwards of 50-100 people participating a week. This unique opportunity propagates the Celebrity brand, as well as, showcases Blendtique’s, which is great. We also launched the first of its kind mobile wine experience with Celebrity. This allows people to participate in the events and then order the wine they created to have at dinner that night, or have it shipped to their home (within the US) to enjoy after their voyage. In 3-4 weeks, Blendtique sends clients 6-12 bottles of their custom wine, which extends the life of the Blendtique experience for the customer well beyond their cruise vacation. Who is the target audience for Blendtique? The US was the largest consumer of wine last year, with the millennial market making up over half of that. This consumer is the largest online growing segment, which presents us with a very wide appeal. Our target audience age ranges from young 20’s++ to the 70’s++ market. Although our wine kits appeal to both genders, females tend to be the largest consumer of experiential retail and gifting purchases. 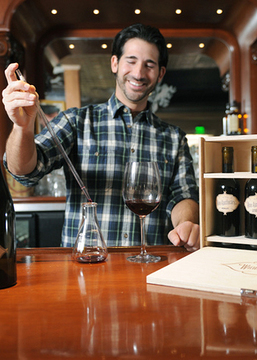 Blendtique targets wine lovers and those who are enthused by hands-on personal experiences. Just as Foodies have an opinion on what foods they like, we give wine enthusiasts the opportunity to create the perfectly individualized blend down to their specialty packaging and branding. We, as a custom wine company, have partnered with a label company that offers our custom labeling services. As a new company attempting to scale, the hardest thing for us has been honing in on which segment to go after in such a vast market. We sell online directly to customers, but our energy has been predominately focused in hospitality, restaurants, and retail for the time being. The hardest thing for us is trying to figure out, as we are scaling, the amount of product that we want to bring in. Our model will often directly correlate to the amount of inventory we have. Currently 75% of our inventory goes towards fulfilling the cruise orders, which leaves us with 25% to sell via retail. It’s a challenge for any growing business to master inventory so that it doesn’t hurt cash flow. As we gain momentum, we eventually may be sold out of product. Harvest comes but once a year and there’s only so much quality product available. Fortunately, however, we have a vast network of relationships from estate properties to custom crush facilities, as well as, the ability to work within the bulk market to source product more than just once a year. Even so, with increasing clients brings increasing demand. The biggest challenge is making sure we have product to continually supply our existing clients and growth. As we move into the next year, this is a good time for an investor to get into our vertically integrated program. Another challenge in the wine industry is maintaining high quality as the business scales. Many wine businesses grow by expanding production or by getting acquired, which often leads to mass production and a decline in quality. It’s important to me that our quality never suffers. As a sommelier and a winemaker, I am committed to maintaining our high level of quality without limiting the set of vineyards we work with. A big part of why we are looking for capital is to diversify the range of our wine offerings. For instance, we would like to explore offering lower price points for grocery chains, as well as, higher price points for the fine dining restaurant groups. How are you different from your key competitors, and who are your key competitors? Blendtique offers the first of its kind personal wine experience in small quality batches. There are custom crush facilities that require minimums of 500 cases, but this isn’t viable for the everyday person or small business owner – both in terms of space for all those cases, or the cash to purchase. This would require $50K-75K and a 2-year waiting period. Blendtique takes that out of the equation by allowing people to use their carefully selected single varietal program to facilitate the first of its kind blending experience. The amount of money and time is considerable with other custom wine curators, while with Blendtique, we can turn an offering around very quickly for a very reasonable price. All of our wines are all natural, organic, and biodynamic. We want to be competitive, yet stay in the comfortable price range so that every consumer can enjoy Blendtique. We are not in the business of substituting and supplementing wine blends with lower quality product to make orders and keep the costs down. Through my network of relationships here, if I’m short of a certain product, I supplement those with wine from local estate vineyards, unlike many other bigger brands that would supplement with lower quality Trader Joe’s-type of wine. Although we’re currently located in and working with product from the California Coast, our intention is to expand inside and outside the US. Although we have an unparalleled ability to source and make quality product in this region, we would like to eventually source from other wine producing regions in the US, as well as, become an importer of wine from other countries like Argentina, for instance, for their Malbec to diversify our line of flavors. Santa Barbara County is a younger wine region, but hosts a wonderful network of people who are very passionate, educated, and hands-on when it comes to their wine. It’s an interesting mix of people who love what they do and support one another tremendously. In the past 5-10 years, the product coming out of this region has turned heads for its remarkable wine. The retail landscape is changing—people crave experiences. There are a lot of tasting experiences and classes out there, but only ours allows you to do it at home with the end result being something you can order and call your very own. While many people are afraid of wine and are intimidated by sommeliers, Blendtique demystifies wine for the very novice to the highly experienced. Additionally, Blendtique is offering a first-of-its-kind experience to business owners allowing them to hand-tailor a Custom Branded Wine specific to their clientele where they themselves participated in the creative process. This application has led to experiential classes and events for hospitality, wedding parties, corporate events and more. The end result is a Custom Branded Wine available for resale—featuring the product created by the restaurant owners, country club members, bride and groom, or hospitality team. We are a small company looking to raise $1M to close in early 2018. We are going through harvest now, which means by February-March of 2018 is when I will be looking to make the next round of big inventory purchasing. This is an exciting opportunity for an investor to come in for decent equity, for a fairly low ask. We are open to having a few investors for a minimum of $200K, but we would ideally like to have 1-2 strong players that hit all the spots we need. Our ideal investor is someone with a passion or interest for wine and our program with strategic relationships for retail and distribution. At the end of the day, money is money. I was on Shark Tank not for the investment, but for the relationships in sales opportunities and potential clients that the Sharks could introduce to us. I would love to work with investors who are affiliated with a distribution network, or a large retail chain like Costco or Total Wine. The experiential inspiration behind Blendtique is to further a wine enthusiast’s interest and background in creating their personal wine whether for use at home or as part of their business. We are here to give people and businesses a unique opportunity to create their own wine experiences anywhere ranging from private homes to large hotel chains that propagate brands. We have so many exciting opportunities in our pipeline. In addition to managing daily ecommerce orders and preparing with our cruise partner for the next season, we have been approached by health clubs and country clubs to host blending competitions, as well as, major players in hospitality like Hyatt, MGM, and InterContinental along with restaurant groups like the Melting Pot in Colorado. In 2018, we have opportunities lined up with national retail chains Total Wine & BevMo, and we continue to explore application in the cruise line industry, as well as, the wedding market. We are thrilled about what the future holds and would like to meet the investor that is excited to go on this journey with us. Billy Dim is the Creator and CEO of Blendtique Wine Company. He is a highly experienced sales executive and business manager with an impressive track record of more than 14 years hands-on experience in sales, business development, management, operations, and systems strategies. Dim is an accomplished Sommelier & Winemaker, which led him to develop the innovative new wine platform, Blendtique in 2014. Dim is the acting CEO, COO, Winemaker, and President of Sales for Blendtique -maintaining day-to-day operations and management of the company. His proven ability to successfully analyze an organization’s critical business needs, identify deficiencies, and develop opportunities to improve sales, systems, and client relations have helped to build the foundation for the success at Blendtique. Dim has over 10 years’ experience in the wine industry -acting as a principal in production, operations, management, and national sales. He has managed reputable wine & restaurant programs throughout the Central Coast of California, and is an accomplished sales and operating consultant having worked as an executive at Federal Building Services Inc. and Entirety Consulting Group. 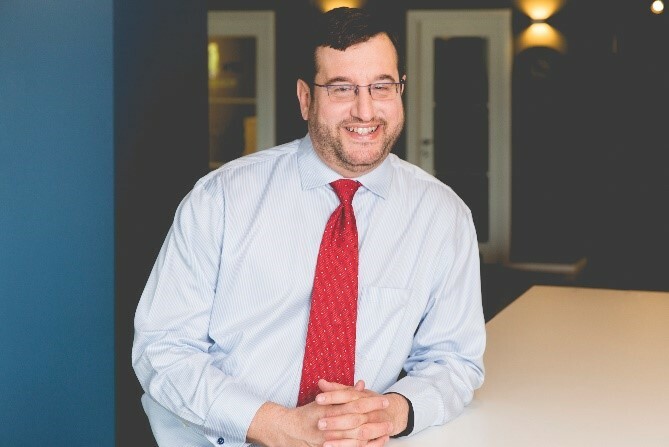 He specialized in implanting Management Operating Systems and generating Sales and Ancillary revenue, while developing key partnerships with mall and retail management groups around the US. He has an English and Business degree from the University of Texas at Austin and his Sommelier Certification from the Court of Master Sommeliers. For more information, please reach out to Billy at billy@blendtique.com.